Borosilicate glass was first developed by the German glassmaker Otto Schott in the late 19th century. Otto Schott was also the founder of today's Schott AG, which has sold borosilicate glass later under the brand name DURAN. As part of an equity carve-out in 2005, the DURAN Group was founded and the manufacture of Duran was transferred to it. After Corning Glass Works introduced Pyrex in 1915, the name became a synonym for borosilicate glass in the English-speaking world. However, borosilicate glass is the name of a glass family with various members tailored to completely different purposes. Most common today is borosilicate 3.3 glass such as Duran, International Cookware's Pyrex, NIPRO BSA 60, and BSC 51. The European manufacturer of Pyrex, International Cookware, still uses borosilicate glass in its Pyrex glass kitchen products, but the U.S. manufacturer of Pyrex kitchenware now uses tempered soda-lime glass. Thus Pyrex can refer to either soda-lime glass or borosilicate glass when discussing kitchen glassware, while Pyrex, Bomex, Duran, TGI and Simax all refer to borosilicate glass when discussing laboratory glassware. The real difference is the trademark and the company that owns the Pyrex name. The original Corning ware made of borosilicate glass was trademarked in capital letters (PYREX). When the kitchenware division was sold, the trademark was changed to lowercase (pyrex) and switched to low thermal-expansion soda-lime glass. 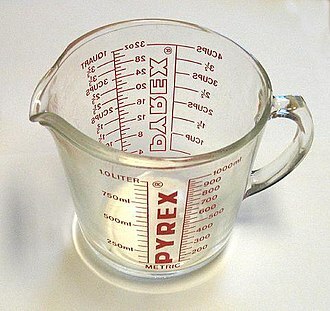 The scientific division of Pyrex has always used borosilicate glass. 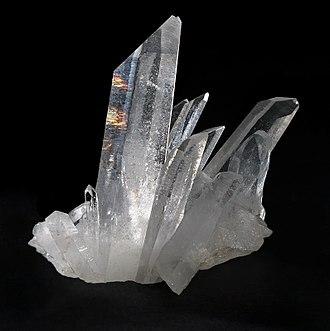 In addition to quartz, sodium carbonate, and aluminium oxide traditionally used in glassmaking, boron is used in the manufacture of borosilicate glass. The composition of low-expansion borosilicate glass, such as those laboratory glasses mentioned above, is approximately 80% silica, 13% boric oxide, 4% sodium oxide and 2–3% aluminium oxide. Though more difficult to make than traditional glass due to the high melting temperature required, it is economical to produce. Its superior durability, chemical and heat resistance finds use in chemical laboratory equipment, cookware, lighting, and in certain kinds of windows. Borosilicate glass is created by combining together and melting boric oxide, silica sand, soda ash, and alumina. Since borosilicate glass melts at a higher temperature than ordinary silicate glass, some new techniques were required for industrial production. The manufacturing process depends on the product geometry and can be differentiated between different methods like floating, tube drawing, or moulding. 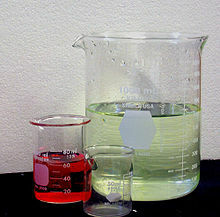 The common type of borosilicate glass used for laboratory glassware has a very low thermal expansion coefficient (3.3 × 10−6 K−1), about one-third that of ordinary soda-lime glass. This reduces material stresses caused by temperature gradients, which makes borosilicate a more suitable type of glass for certain applications (see below). Fused quartzware is even better in this respect (having one-fifteenth the thermal expansion of soda-lime glass); however, the difficulty of working with fused quartz makes quartzware much more expensive, and borosilicate glass is a low-cost compromise. While more resistant to thermal shock than other types of glass, borosilicate glass can still crack or shatter when subjected to rapid or uneven temperature variations. Borosilicate glass is less dense (about 2.23 g/cm3) than typical soda-lime glass due to the low atomic mass of boron. Its mean specific heat capacity at constant pressure (20–100 °C) is 0.83 J/(g⋅K), roughly one fifth of water's. The temperature differential that borosilicate glass can withstand before fracturing is about 165 °C (329 °F). This compares well with soda lime glass, which can withstand only a 37 °C (99 °F) change in temperature and is why typical kitchenware made from traditional soda-lime glass will shatter if a vessel containing boiling water is placed on ice, but Pyrex or other borosilicate laboratory glass will not. Borosilicate glass has become the material of choice for fused deposition modeling (FDM), or fused filament fabrication (FFF), build plates. Its low coefficient of expansion makes borosilicate glass, when used in combination with resistance-heating plates and pads, an ideal material for the heated build platform onto which plastic materials are extruded one layer at a time. The initial layer of build must be placed onto a substantially flat, heated surface to minimize shrinkage of some build materials (ABS, polycarbonate, polyamide, etc.) due to cooling after deposition. The build plate will cycle from room temperature to between 100 °C and 130 °C for each prototype that is built. The temperature, along with various coatings (Kapton tape, painter tape, hair spray, glue stick, ABS+acetone slurry, etc. ), ensure that the first layer may be adhered to and remain adhered to the plate, without warping, as the first and subsequent layers cool following extrusion. Subsequently, following the build, the heating elements and plate are allowed to cool. The resulting residual stress formed when the plastic contracts as it cools, while the glass remains relatively dimensionally unchanged due to the low coefficient of thermal expansion, provides a convenient aid in removing the otherwise mechanically bonded plastic from the build plate. In some cases the parts self-separate as the developed stresses overcome the adhesive bond of the build material to the coating material and underlying plate. Specialty glass smoking pipes for cannabis and tobacco are made from borosilicate glass. The high heat resistance makes the pipes more durable. 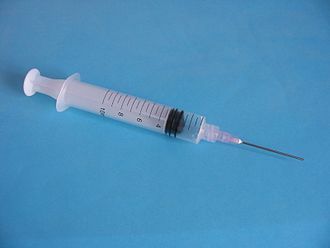 Some Harm Reduction organizations also give out borosilicate pipes intended for smoking crack cocaine, as the heat resistance prevents the glass from cracking, causing cuts and burns that can spread Hepatitis C.
Fiolax of Schott, mainly used for containers for pharmaceutical applications. Ilmabor of TGI [de] (2014 insolvency), mainly used for containers and equipment in laboratories and medicine. Jenaer Glas of Zwiesel Kristallglas, formerly Schott AG. Mainly used for kitchenware. 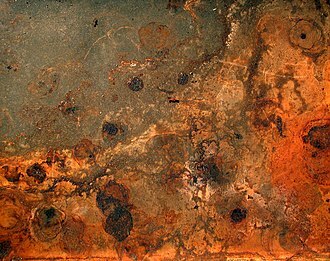 In 1968, English metallurgist John Burton brought his hobby of hand-mixing metallic oxides into borosilicate glass to Los Angeles. Burton began a glass workshop at Pepperdine College, with instructor Margaret Youd. A few of the students in the classes, including Suellen Fowler, discovered that a specific combination of oxides made a glass that would shift from amber to purples and blues, depending on the heat and flame atmosphere. Fowler shared this combination with Paul Trautman, who formulated the first small-batch colored borosilicate recipes. He then founded Northstar Glassworks in the mid-1980s, the first factory devoted solely to producing colored borosilicate glass rods and tubes for use by artists in the flame. Trautman also developed the techniques and technology to make the small-batch colored boro that is used by a number of similar companies. In recent years, with the resurgence of lampworking as a technique to make handmade glass beads, borosilicate has become a popular material in many glass artists' studios. Borosilicate for beadmaking comes in thin, pencil-like rods. Glass Alchemy, Trautman Art Glass, and Northstar are popular manufacturers, although there are other brands available. The metals used to color borosilicate glass, particularly silver, often create strikingly beautiful and unpredictable results when melted in an oxygen-gas torch flame. Because it is more shock-resistant and stronger than soft glass, borosilicate is particularly suited for pipe making, as well as sculpting figures and creating large beads. The tools used for making glass beads from borosilicate glass are the same as those used for making glass beads from soft glass. ^ "Exploding Pyrex". Retrieved 2009-10-27. ^ Spinosa, E. D.; Hooie, D. T.; Bennett, R. B. (1979). Summary Report on Emissions from the Glass Manufacturing Industry. Environmental Protection Agency, Office of Research and Development, [Office of Energy, Minerals, and Industry], Industrial Environmental Research Laboratory. ^ "Borosilicato". refmexgl.com. Archived from the original on 2012-06-30. Retrieved 2012-11-02. 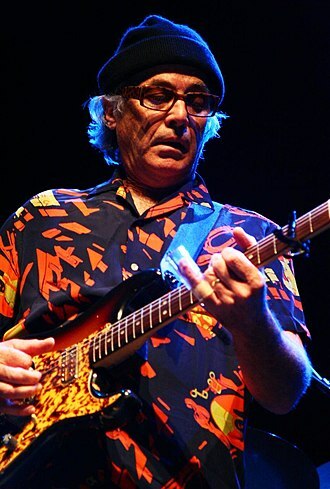 ^ Weissler, G. L. (1979). Vacuum Physics and Technology (2 ed.). Academic Press. p. 315. ISBN 978-0-12-475914-5. ^ "Borosilikatglas BOROFLOAT® - Thermische Produkteigenschaften". www.schott.com. Schott AG. Retrieved 31 August 2018. ^ "Bor-crown glass from SCHOTT". Archived from the original on 2017-07-05. ^ "Safer Crack Cocaine Smoking Equipment Distribution: Comprehensive Best Practice Guidelines". www.catie.ca. Retrieved 2018-05-14. ^ "SPACE SHUTTLE ORBITER SYSTEMS THERMAL PROTECTION SYSTEM". Archived from the original on 2009-07-15. Retrieved 2009-07-15. An ampoule is a small sealed vial which is used to contain and preserve a sample, usually a solid or liquid. Ampoules are commonly made of glass, although plastic ampoules do exist, modern ampoules are most commonly used to contain pharmaceuticals and chemicals that must be protected from air and contaminants. They are hermetically sealed by melting the thin top with an open flame, if properly done, this last operation creates a clean break without any extra glass shards or slivers, but the liquid or solution may be filtered for greater assurance. The space above the chemical may be filled with a gas before sealing. The walls of glass ampoules are usually sufficiently strong to be brought into a glovebox without any difficulty, historically ampoules were used to contain a small sample of a persons blood after death, which was entombed alongside them in many Christian catacombs. It was originally believed that only martyrs were given this burial treatment, an ampoule, allegedly dating back to the year 305 and filled with the blood of Saint Januarius, bishop of Benevento, has been kept for centuries in the Cathedral at Naples. Another well known ampoule is the Holy Ampulla which held the oil for the coronation of the French monarchs. 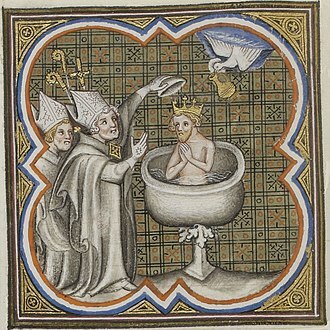 The oil was allegedly passed down from the time of Clovis I, it was kept for a time in the tomb of Saint Remigius and in the Cathedral of Notre-Dame, Reims. An order of knights named after the ampoule was created for the coronation of kings to have saved and was used in coronation of Charles X. Modern glass ampoules are produced industrially from short lengths of tubing, shaped by heating with gas torches. Computer vision techniques are employed for quality control. The filling and sealing of ampoules may be done by automated machinery on a scale, or by hand in small-scale industries. 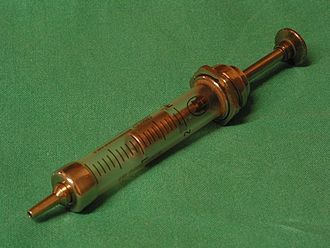 Blank ampoules can be purchased from scientific supply houses and sealed with a small gas torch. This forms a membrane allowing someone to turn the open ampule upside down without spilling, a Schlenk line may be used for sealing under inert atmospheres. Ampoules are common practice as containers of low frequency RFID tags and these are used mainly for tagging animals, such as dogs for identification. Boron is a chemical element with symbol B and atomic number 5. Produced entirely by cosmic ray spallation and supernovae and not by stellar nucleosynthesis, it is an element in the Solar system. Boron is concentrated on Earth by the water-solubility of its more common naturally occurring compounds and these are mined industrially as evaporites, such as borax and kernite. The largest known deposits are in Turkey, the largest producer of boron minerals. Elemental boron is a metalloid that is found in small amounts in meteoroids, very pure boron is produced with difficulty because of refractory contamination by carbon or other elements. Several allotropes of boron exist, amorphous boron is a powder, crystalline boron is silvery to black, extremely hard. The primary use of boron is as boron filaments with applications similar to carbon fibers in some high-strength materials. Boron is primarily used in chemical compounds, about half of all consumption globally, boron is used as an additive in glass fibers of boron-containing fiberglass for insulation and structural materials. The next leading use is in polymers and ceramics in high-strength, lightweight structural, borosilicate glass is desired for its greater strength and thermal shock resistance than ordinary soda lime glass. Boron compounds are used as fertilizers in agriculture and in sodium perborate bleaches, a small amount of boron is used as a dopant in semiconductors, and reagent intermediates in the synthesis of organic fine chemicals. A few boron-containing organic pharmaceuticals are used or are in study, natural boron is composed of two stable isotopes, one of which has a number of uses as a neutron-capturing agent. In biology, borates have low toxicity in mammals, but are toxic to arthropods and are used as insecticides. Boric acid is mildly antimicrobial, and several natural boron-containing organic antibiotics are known, small amounts of boron compounds play a strengthening role in the cell walls of all plants, making boron a necessary plant nutrient. Boron is involved in the metabolism of calcium in both plants and animals and it is considered an essential nutrient for humans, and boron deficiency is implicated in osteoporosis. A breast implant is a prosthesis used to change the size and contour of a woman’s breast. They are used cosmetically to enhance or enlarge the appearance of the breast through breast augmentation surgery, there are three general types of breast implant devices, defined by their filler material, saline solution, silicone gel, and composite filler. Composite implants are not recommended for use anymore and, in fact, their use is banned in the United States and Europe due to associated health risks. For the correction of male breast defects and deformities, the implant is the breast prosthesis used for the reconstruction. Since the late century, breast implants have been used to surgically augment the size, modify the shape. In 1889, surgeon Robert Gersuny experimented with paraffin injections, with disastrous results, in the mid-twentieth century, Morton I. Berson, in 1945, and Jacques Maliniac, in 1950, in 1964, the French company Laboratoires Arion developed and manufactured the saline breast implant, filled with saline solution, and introduced for use as a medical device in 1964. Today, there are two types of breast implants commonly used for mammoplasty, breast reconstruction, and breast augmentation procedures, Silicone implant filled with viscous silicone gel. The saline breast implant—filled with saline solution —was first manufactured by the Laboratoires Arion company, in France, the contemporary models of saline breast implant are manufactured with thicker, room-temperature vulcanized shells made of a silicone elastomer. Saline breast implants have enjoyed popularity in the rest of the world. 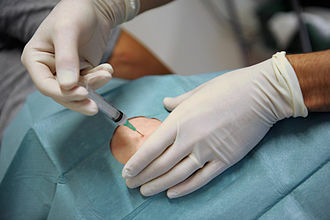 The technical goal of saline-implant technology was a less invasive surgical technique for emplacing an empty breast implant device through a smaller surgical incision. As a medical technology, there are five generations of silicone breast implant. The Cronin–Gerow Implant, prosthesis model 1963, was a silicone rubber envelope-sac, shaped like a teardrop, yet, in clinical practice, second-generation breast implants proved fragile, and suffered greater incidences of shell rupture, and of filler leakage through the intact device shell. A laboratory is a facility that provides controlled conditions in which scientific or technological research and measurement may be performed. Laboratories used for scientific research take many forms because of the requirements of specialists in the various fields of science. 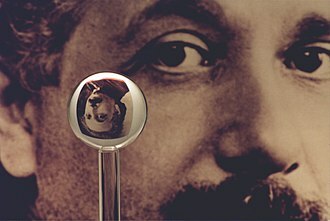 A physics laboratory might contain a particle accelerator or vacuum chamber, a chemist or biologist might use a wet laboratory, while a psychologists laboratory might be a room with one-way mirrors and hidden cameras in which to observe behavior. 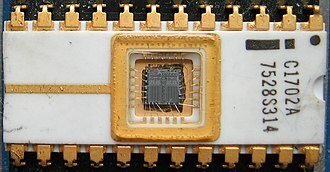 In some laboratories, such as commonly used by computer scientists. Scientists in other fields will use other types of laboratories. Engineers use laboratories as well to design and test technological devices, scientific laboratories can be found as research and learning spaces in schools and universities, government, or military facilities, and even aboard ships and spacecraft. Early instances of laboratories recorded in English involved alchemy and the preparation of medicines, larger or more sophisticated equipment is generally called a scientific instrument. Both laboratory equipment and scientific instruments are increasingly being designed and shared using open hardware principles, open source labs use open source scientific hardware. The title of laboratory is used for certain other facilities where the processes or equipment used are similar to those in scientific laboratories. In many labs, hazards are present, in laboratories where dangerous conditions might exist, safety precautions are important. Rules exist to minimize the risk, and safety equipment is used to protect the lab user from injury or to assist in responding to an emergency. This standard is referred to as the Laboratory Standard. Under this standard, a laboratory is required to produce a Chemical Hygiene Plan which addresses the specific hazards found in its location, the CHP must be reviewed annually. Many schools and businesses employ safety and environmental specialists, such as a Chemical Hygiene Officer to develop and evaluate their CHP. Additionally, third party review is used to provide an objective outside view which provides a fresh look at areas. A large ampoule containing 1.4 kg of high purity caesium. Microchip implant in a cat. Example of an RFID scanner used with animal microchip implants. Wolframite mineral, with a scale in cm. A Schott plant in Valašské Meziříčí, Czech Republic. A dark glass bottle with ground glass plug.